How blogging can help you to generate new enquiries from motivated sellers and landlords, for free. Once upon a time, a young man from Virginia had a dream. Marcus Sheridan, a tall and very energetic college football player had big ambitions; he wanted to be an entrepreneur; specifically, a rich entrepreneur. After spending a couple of years after college researching the best types of businesses with the highest return on investment, he made a decision; he would open up a swimming pool supply and installation business. And in 2001, River Pools and Spas was born. Launching with a couple of friends, and a tiny amount of seed money, he was quickly up and running and by 2007, his team had expanded, with six full-time sales people on the road, and his business had helped him achieve his goal of making him a pretty wealthy young entrepreneur. No one could really have forecast what happened next. On 15th September 2008, Lehman Brothers filed for Chapter 11 bankruptcy protection, and in doing so, triggered a worldwide financial collapse. In the River Pools and Spas offices, the phone simply stopped ringing. Marcus was devastated. He couldn’t sleep at night for fear of having to lay off his workforce – some he’d known for years, and most who had families to support. But as the days went by, and the situation didn’t improve, the young entrepreneur just couldn’t see a way out. As a last ditch attempt to save his company, Marcus turned to his local library. There, he spent hours scouring the shelves for business books, turnaround strategies, marketing tactics, anything that might help him find a solution. Eventually, surrounded by books and his scrawled notes, he found what he thought might just be the answer: blogging. In 2008, there were very few blogs online, a fraction of what we see today. He was going to create and implement a content marketing strategy and this was going to save his company. Back at the River Pools and Spa office, the mood was subdued, but Marcus’s mood was infectious. He gathered his little team together and told them what he intended to do and how it would save the company. At first, they were understandably sceptical. 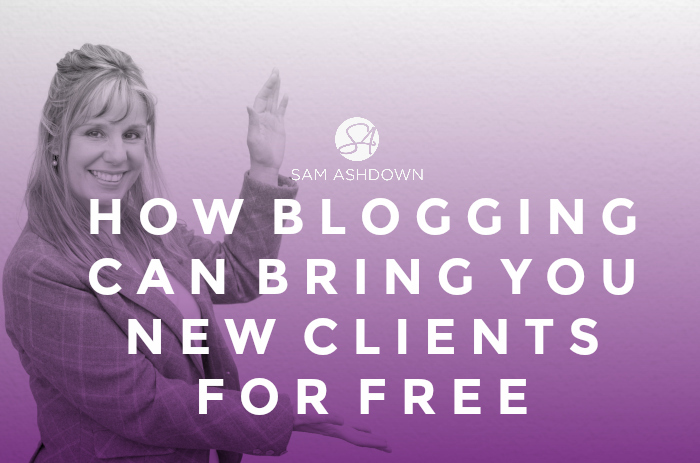 How could writing blogs bring in customers? But Marcus’s enthusiasm lifted them all up, and they decided to give the idea a chance. Marcus asked everyone to recall all the stupid questions they had ever been asked by customers and potential customers, about swimming pools and spas. They made a list of all the questions they could think of, and by the end of that day, they had a list of over 300 questions. Later that evening at home, at his kitchen table, Marcus rolled up his sleeves. Every single one of these questions was going to be answered by him personally, in the form of a blogpost. He got to work, writing at least 20, and sometimes 30, articles every single day, uploading them to the River Pools and Spa site as he did. At first, nothing happened, but then, something he hadn’t expected began to materialise. The phone began ringing again, but not with customers wanting to ask questions; the customers calling just wanted to buy a pool. Where once salesmen would need to make one, two or even three long consultative visits to people’s homes, the homeowners who were calling knew exactly what they wanted, and just wanted to place an order. This was extraordinary, and unprecedented. The phone once again was ringing just as it once had, but the sales were so much more profitable now that the sales team weren’t spending all their time answering the same old questions. After a few months, Marcus checked the site visits against the sales, and discovered a very interesting fact: customers who rang having read 29 or more of his blogposts were 700% more likely to simply buy a pool or spa. They had all the information they needed. They had moved in their mind from thoughts of ‘should we buy a pool?’, past ‘who should we buy a pool from?’ and now they were at ‘when can we have our pool installed?’. The next few years saw River Pools and Spas skyrocket in growth, when every single one of their competitors were shrinking, and many went out of business. I was lucky enough to meet Marcus at an event and he told me that his marketing return on investment had jumped from 20:1 in 2008, to an unbelievable 278:1 last year, a change he says is directly attributable to the huge traffic on his site, because of his blogging. Traditional marketing is outbound marketing. Think of it like a guy with a megaphone, shouting “Hello! Look at me! Look what I’ve got! Come on, buy it off me!” Outbound marketing is about the company, not the customer. It doesn’t address their needs; it’s just about pushing out marketing messages. Inbound marketing is completely different. Think of it as a giant magnet, drawing your audience towards you by having wonderful, useful information that they want to consumer. Inbound marketing is so much more powerful than outbound marketing. Where inbound attracts, outbound marketing interrupts. Let’s say you’re watching Coronation Street, (I’m a big Corrie fan) and the adverts come on. Do you watch them? Or do you do what I do, and watched the recorded version, so that I can fast-forward the commercial break. I simply see the ads as an interruption in my viewing pleasure. Similarly, the adverts I see in newspapers and magazines interrupt my reading, the adverts I see on some websites interrupt my browsing, and so on. We learn to live with these interruptions, becoming ever more blind to them and leaving marketers having to be more and more creative to grab our attention. The opposite of interruption marketing is permission marketing. If I can help you to achieve your objective, you are much more likely to consider me an expert than if I shout at you with my marketing megaphone about how great I am. “You will get all you want in life if you help enough other people get what they want”. Just as Marcus Sheridan from River Pools and Spas discovered when he started blogging, he could slash his marketing budget by 80% whilst increasing revenue by 20% a year. Research from Hubspot shows that inbound marketing costs 62% less than outbound marketing, to generate the same number of leads. If you want to be recognised as the best agent in your area, the go-to agent, the one they can trust to help them sell their house (or let their property), you need to give them proof you can be that person. Blogging can position you as an expert authority, and someone to be trusted to do a great job. It makes you seem more transparent and honest somehow, sharing your advice and commentary in such a public way. Blogging can be a massive benefit to a company, done right. Just as Marcus Sheridan discovered, you too can create something exceptional, an estate agent website that people actually want to visit, and to spend time on. So what can blogging give you? 1. A secret weapon to beat the competition – if they’re not blogging, then even more reason for you to blog! First mover’s advantage means you’ll look more professional, innovative and forward-thinking than they do. If your competitors are already blogging, then can you do it better or can you do it differently? 2. A head start – blogging gives you the chance to communicate with someone, not just before they decide on which agent to use, but perhaps even before they decide to sell or let in the first place. 3. A steady stream of leads from motivated clients – avoid the ‘feast or famine’ factor that traditional marketing can produce. Blogging gives you the chance to be in someone’s email inbox, or at least on their radar, for weeks, months or even years. 4. Lower cost per enquiry – just as Marcus Sheridan proved, the cost per enquiry from a comprehensive content marketing strategy can be low – really low. A lower cost per enquiry means more profit, and a happier owner. 5. Irresistible to landlords and vendors – just by putting out great quality content and information that they want to read, you will attract new clients and prove that they need you. 1. Don’t treat it like a press release – no one wants to read your ‘company news’. 2. Don’t blog about local events – you aren’t the local newspaper and you can’t – and shouldn’t – try to be. The only exception to this is if you’re sponsoring or hosting an event, but no covering sports events or coffee mornings – Facebook is a better platform for these. 3. Don’t use stock photos – especially the ones with the hand holding the model house! You should have a library of images you own, and have taken yourself. If not, start building one. 4. Don’t forget your spelling and grammar – if this isn’t your strong point, get your posts proof read before you press publish; if your post goes out full of mistakes, it’s going to make you look unprofessional and sloppy. 5. Don’t be inconsistent – I’ve seen countless blogs started and then abandoned. Commit to your blog, and be proud of it. It will pay you back over and over again in the future. The second best time is right now. So what’s stopping you? 1. Plan – write down a list of all the things that you could blog about. Write down all the questions you get asked, and any issue that seems to come up frequently. Brainstorm with your team, and jot down any ideas that come to you in everyday conversation with clients. When is the right time to go on the market? Do I need professional photography? Why do I have to have a floor plan? 2. Pen – start writing! Aim for 300 – 500 words at first, and try to write it in under an hour. Stick to your own ‘voice’ – a conversational style is easier to read and conveys a more genuine-sounding message. It doesn’t matter how you write it. If you prefer putting pen to paper, do that then type it up afterwards, using this as a chance to check and refine your writing. As a last check, I read my posts aloud. You’ll find it easier to find anything that doesn’t flow, or that sounds stilted. 3. Publish – don’t hesitate, just get it live. As I tell my clients, progress is better than perfection. It doesn’t matter how wonderful your post is, if no one can see it. It may be comforting to remember that very few people will read your fledgling blog at first. By the time you have a decent readership, you’ll be blogging consistently and with confidence. 4. Promote – it’s not enough to write and publish your blog, if no one knows it’s there! I have a schedule to promote each post that includes Facebook, Twitter and LinkedIn. Once you have decided on your promotion timetable, I suggest you give the task to someone else to implement each week, to make sure it gets done. 5. Participate – make sure you enable comments on your blog. Comments can be a hugely valuable way of communicating with your audience, and making sure they feel valued. I often get comments asking for my help, and these could be a golden opportunity for you. Blogging can take your agency to the next level. It can help to position you as an expert authority, and ensure people in your community see you as a successful professional. Your blog could be seen as THE best place to go to for advice about selling or letting their property. So don’t delay. Be fearless; don’t hesitate. Remember, soon is not as good as now. Go blog. Next post Do you need a coach?